Wake up and go to work or school in the morning with 97% battery, draining another 12% during the commute, left with less than 5% by the end of the day. Does this sound familiar to you? Well, one of the biggest disadvantages of the Samsung Galaxy S6 is the fact, that the battery life isn’t very good at all. At least this is what we thought. Many heavy users usually need to quick-charge their Galaxy S6 some time during the day, simply because they will run out of battery life before the day ends. 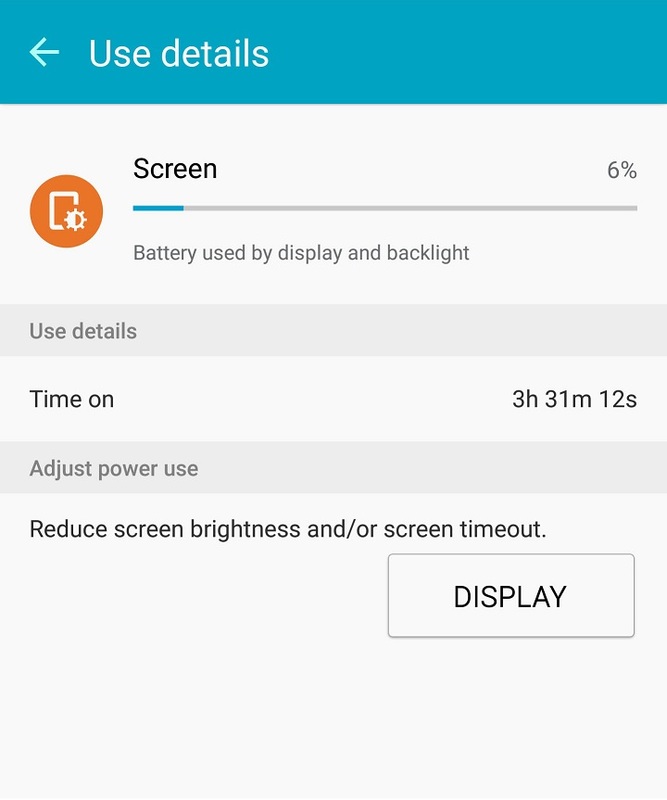 From our experience, before applying the How to below, my Samsung Galaxy S6 got somewhere between 3 and 3.5 hours of Screen on Time on a single day before shutting off in my bag. To give you some context, I often play games on my phone and I have my Bluetooth often switched on streaming music to my music system at home or in my car. Samsung stuffed your Galaxy with many micro-apps, most of them you will hardly never even get to use. However, these apps still continue to run in the background without you even knowing, draining your battery life every time of the day. To disable these battery-sucking small unused programs, all you need to do is download a paid app called Package Disabler Pro, which just costs $1.95. After opening the app you will be able to turn off the apps you don’t need or simply have no use for. You don’t need to root your Galaxy to make full use of this app. Disclaimer: you will be warned that Package Disabler might trip KNOX. According to the app developer himself, if your KNOX services get disabled, all you need to do is enable all services that you have disabled to get it all back. With the setup below, which I use myself, KNOX has not been tripped. Attention: before any OTA or Update, make sure to enable ALL the programs you previously disabled to ensure a clean, safe and flawless system update. A nice side-effect of shutting down S Voice, in case you aren’t using it, is that any home button lag is instantly removed, which if often reported by Samsung Galaxy S6 users. Some Galaxy S6 users have reported that Google Play Services drains their battery quite a lot. Lucky for us, there is a very odd but effective way to fix this problem. Some location services continue running in the background too, logging your coordinates from time to time. First, open your App Drawer and launch “Google Settings”. In the Google Settings app select “Location” to get to Android’s location settings (also accessible via Settings > Location). You should now be able to see, which apps have recently accessed your location data. If you want to disable location tracking on your Android device for saving battery life, we advise you to change the “Mode” to “Battery saving”, which will disable GPS, and only use Wi-Fi and mobile networks to determine your location. To completely disable location services on Android, all you have to do is flip the On/Off switch in the top-right corner of the screen. If you follow the simple steps we presented to you, you will notice a huge increase in battery life on your Samsung Galaxy S6 and you will have between 4.5-5 hours of screen on time, compared to the normal 3-3.5 hours. In my case, my battery now drops at an approximate rate of 1% every 1.5 hours in standby mode, which is incredible considering the usally small 2600 mAh battery capacity (on the Samsung Galaxy S6 Edge). Please let us know in the comments, if this guide helped you, or maybe you have some other tips on how to increase your Samsung Galaxy S6 or S6 edge battery life. Be the first to comment on "How to increase your Samsung Galaxy S6 battery life"